Understanding the need for Asians to find the right pair of sunglasses that fit perfectly, SWORKE was established. Dedicating its R&D team in cosmopolitan Singapore, SWORKE has relentlessly studied Asian and Western facial profiles to find the best fit for sunglasses. Hence, SWORKE was able to design and develop a range of safety sunglasses that provides both excellent fit and protection for Asians and even Westerners. 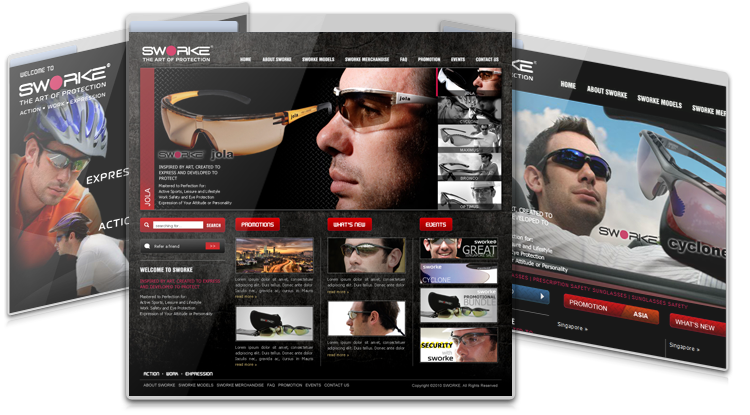 SWORKE allows everyone to gain access to reasonably priced, high quality and trendy safety sunglasses. SWORKE safety sunglasses can fit most face shapes and facial profiles.